Everyone wanted in on the adventure. Rockefellers and Vanderbilts begged to be taken along as mess boys, and newspapers across the globe covered the planning’s every stage. And then, the night before the expedition’s flagship set off, Billy Gawronski—a mischievous first-generation New York City high schooler desperate to escape a dreary future in the family upholstery business—jumped into the Hudson River and snuck aboard. Could he get away with it? USA Today says, "Excellent...Shapiro has rescued Billy Gawronski's story from obscurity and given us a nuanced portrait of an extraordinary young man. It's also a fascinating window into the life of Richard Byrd and America itself in the exuberant 1920s and crushing Depression that followed. 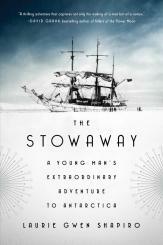 The Stowaway is a must-read for all polar exploration enthusiasts and lovers of well-told adventure stories." From the soda shops of New York’s Lower East Side to the dance halls of sultry Francophone Tahiti, all the way to Antarctica’s blinding white and deadly freeze, Laurie Gwen Shapiro’s The Stowaway takes readers on the unforgettable voyage of a plucky young stowaway who became a Jazz Age celebrity, a mascot for an up-by-your bootstraps era. 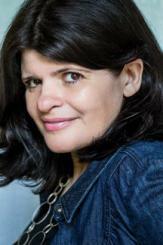 Laurie Gwen Shapiro is an award-winning documentary filmmaker and journalist. The Stowaway, her first full-length nonfiction book, was named an Indie Next Pick for 2018. Registration is required. To register, contact the Events Office at events@nysoclib.org or 212.288.6900 x230. Library members may also click below and log in to register.